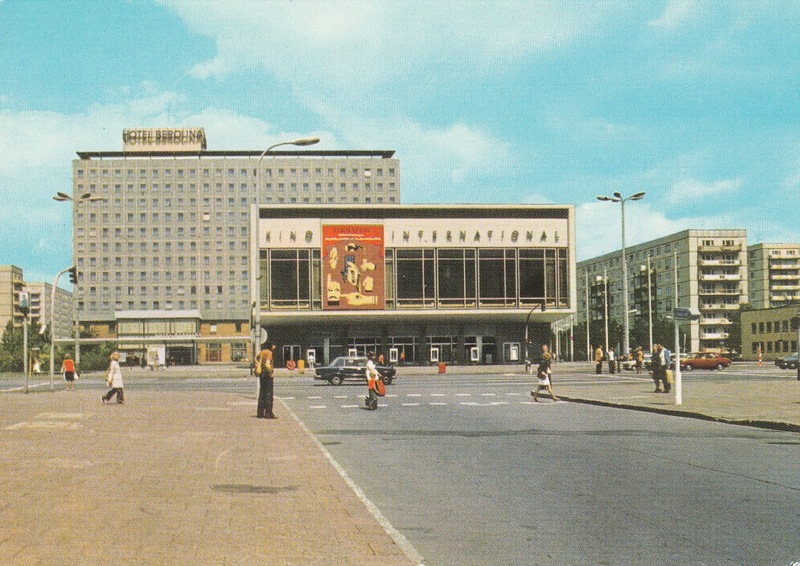 You can see at this postcard the idea of a cinema's front like a big shop-window. The name of the cinema, parted by the film poster, nearly a Golden ratio. The advertised movie is Firmafest / Firmafesten (The Office Party) by Jan Halldorf (Sweden, 1972), realesed in East Germany on 4th June 1976. The movie isn't well known, but it is one of the first movies with Stellan Skarsgård. 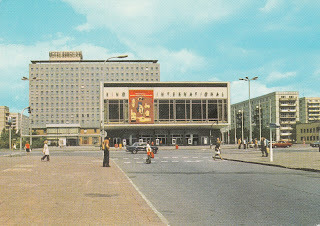 Today office parties take place regularly at Kino International. Big companies love the unique atmosphere there.